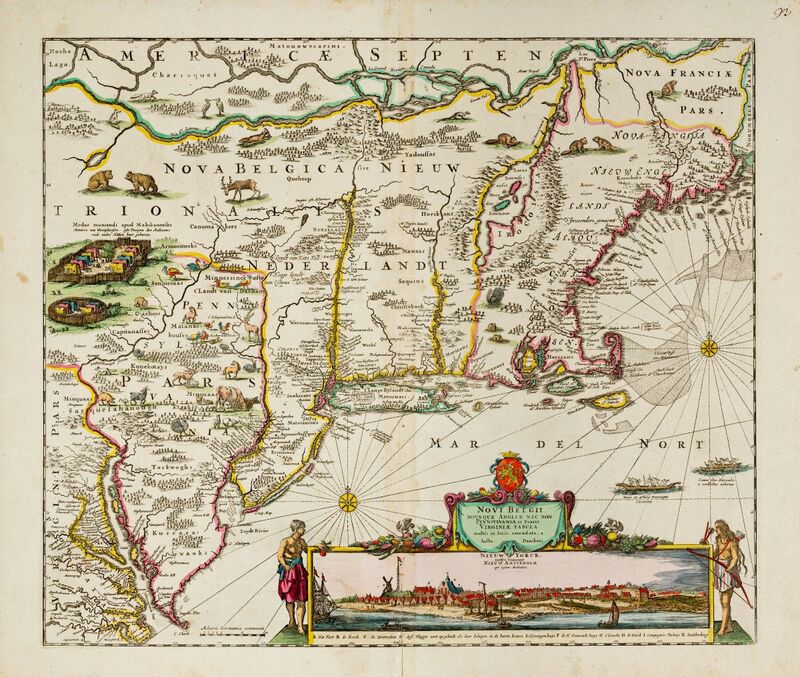 Important map of the Northeast with a view of New York. 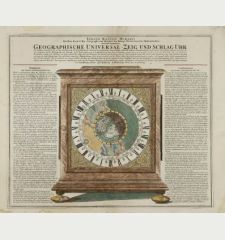 Printed in Amsterdam c. 1690 by Justus Danckerts. 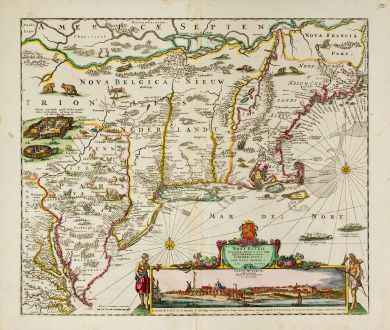 Danckerts' famous map of New England, Virginia, and Pennsylvania with an early view of New York City in stunning old color. 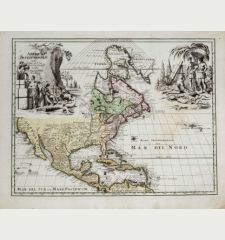 This scarce map by Justus Danckerts is of such importance because of the included prospect of New York, the second published view of New York City, the New Amsterdam. 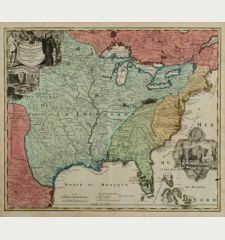 It is one of the most decorative colonial maps of the United States. 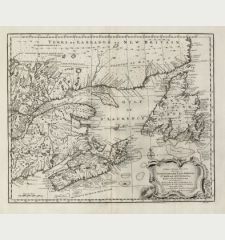 The map shows the north-east coast from Chesapeake Bay to Penobscot Bay and includes present day New England, New York, New Jersey, Delaware, Maryland, Pennsylvania and Virginia. 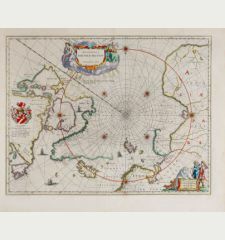 The basic geographic information is based on the Janssonius map Belgii Novi of 1651, but with some changes. 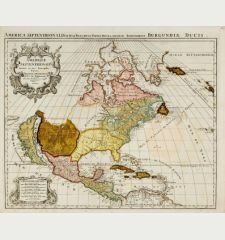 The Delaware River is completely revised, also Pennsylvania is now correctly named. 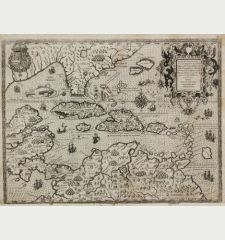 Compared to the map published by Visscher in 1655, the Danckerts version is decorated with additional wild and farm animals, for which reason the map is often referred to as the Farm Animal Map. 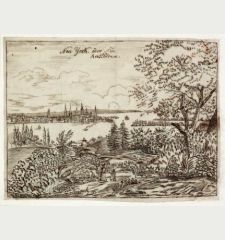 The famous view of New York City was first published around 1650 by Blaeu, titled Nieuw Amsterdam op t Eyland Manhattans and is probably based on a watercolor illustration of 1648, which was discovered 1991 in the collection of Vienna's Albertina. Occasionally, this view is falsely referred to as Visscher View. 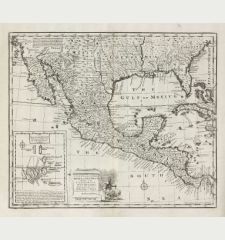 Shown is the settlement Nieuw Amsterdam at the southern tip of Manhattan. With three sailing ships and a rowing boat, a windmill, a flagstaff with a Dutch flag, traditional houses, a church, the prison and even a gallows. Below a key from A to K with the corresponding description in Dutch. According to Burden, our copy is the third state of the plate. 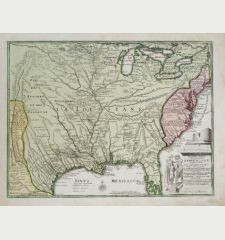 Philadelphia is named and Pennsylvaniae et Partis is added to the cartouche. 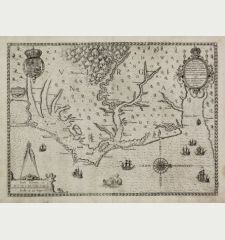 Compared to the second state, Niew Castel alias Sandhoeck west of Delaware Bay, as well as Yermonton north of Philadelphia is added. Tiny worm trace close to lower centrefold filled, some minor toning at centrefold, some brown spots in margin, 2" split at lower centerfold closed. 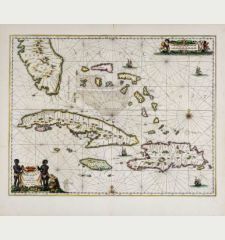 Very good condition with attractive old colors and wide margin. Without any later color additions. 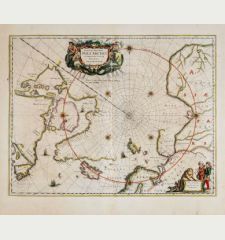 The Danckerts family sold and published maps during the 17th Century in Amsterdam. 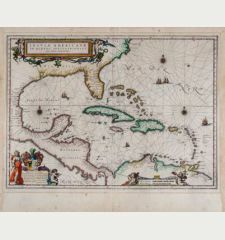 Justus Danckerts, the son of the business founder Cornelius Danckerts, was born 1635. 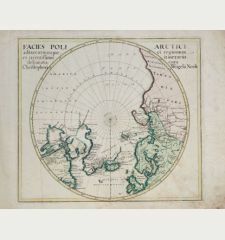 He has published several Atlases together with his son Theodorus between 1680 and 1700. The plates finally have been sold to R. & J. Ottens how published them on their own name. He died in 1701.